When the world of luxury, consumer and business products converge. Allan Weiser and his business partner Jim Dates started building furniture in Jim’s fathers garage in Buffalo N.Y. Roll forward 35 years, and Allan had a 1000 square foot factory and was producing the most luxurious and refined conference room and C-level office furniture in the world. 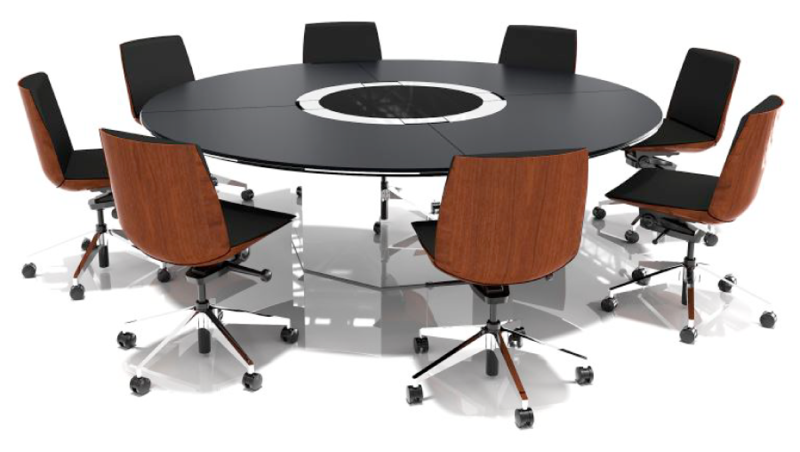 The workplace furniture market has evolved greatly over the years. Open work plans are taking over but it seems every company still embraces refined client forward reception and meeting space and the CEOs still love high-design and hand built desks. I thought combining my product line into a larger “full line” furniture company could be hugely beneficial for both companies. Allan created a jewel of a company. His designs, the quality of his products and custom manufacturing systems are above all others in the industry. Plus his client list was “top shelf”: Sony, JP Morgan, Conde Nast, Citibank, KKR and the list goes on. The challenge on us was to find DatesWeiser a new home that would embrace its unique culture of creativity design and customization and yet provide it with a greater geographic reach. Jim and Adeel quickly picked up on the unique DNA of my company and were able to sort through the likely suitors we would have. Their objectivity was incredibly valuable, and they told me that the path I had preconceived was likely a dead end. Allan was convinced that the one particular party that had been on his doorstep for sometime would turn out to be his perfect partner. When Allan and I had dinner with the CEO of the Company, the main topic the CEO focused on was cost reductions. What Allan actually needed was an investment for growth. I could tell Jim smelled cultural trouble for me during the dinner. Afterwards, out in the street, he said to me, “We might as well push you in front of that moving bus.” I laughed at his frankness but realized he was sending me a very important message. So, as we walked back to our hotels, we discussed Plans B through Z. We don’t sell cubicles or workstations or desks from a catalog. We design and sell elegant furniture which is often custom ordered. And, we capture a disproportionate share of the dollars in the office furniture market. Often, the CEO is involved in the final decision and it becomes a very personal choice. DatesWeiser was ostensibly a business to business company but it marketed its products no differently than a luxury consumer company. We needed to find Allan a partner that embraced that point-of-view and one that had a Coast-to-Coast showroom capacity, which would become points of discovery for DatesWeiser.